WhatsApp has already amassed over a billion users on its mobile messaging platform all over the world and no wonder, its owners at Facebook were looking for ways to make money from it. WhatsApp co-founder Brian Acton had visited India recently and made it clear that the company would be looking at monetizing their platform. We reported "WhatsApp Business Tools" could be one of the ways WhatsApp would be making money. The latest report, however hints at new P2P (peer to peer) payments service that WhatsApp could launch. The update comes from a business publication called 'The Ken' which reports that WhatsApp is in talks to utilize the Unified Payment Interface (UPI) to enable peer to peer digital transactions for users in India. The company is said to be looking for a professional Digital Transactions Lead in India who understands UPI and AADHAR. We also learn that WhatsApp would be targeting the launch within the next four to six months. If everything works well, people will be able to send and receive money from within WhatsApp. Sending money is most likely to be similar to sending a photo attachment in your message. With its over 200 million active users in India, digital transactions could lead to a lot of interesting use cases in India. We look forward to seeing how the businesses make use of the new feature once it is made available. However, one of the major hurdles in launching the payments service could be guidelines from RBI. Building the digital transaction service over UPI platform would mean that WhatsApp payments would be supported by majority of the banks in India. UPI usage data clearly reveals that there's a constant growth in the number of transactions. The count raised to 47 lakh transactions in March from 42 lakh transactions in February this year. The total amount of transactions through UPI in March stood at whooping Rs. 1970 crores. WhatsApp would be jumping into the markets already full of digital wallets. PayTM which boasts of about 200 million users is leading the deck and is going to be the toughest rival for WhatsApp to beat. Truecaller, which has its own dedicated fanbase, already introduced UPI powered transactions service on their platform just last week; in association with the ICICI Bank. Google too, ain't behind. It's already attached a new feature in Gmail that lets users send and receive money. The feature is tied with Google's Wallet and currently available only in the US consumers. Facebook has been supporting payments in its messenger service in the United States. We do not know how long it will take both Facebook and Google to launch their payments service in Indian markets. WhatsApp payments service could be 'game changing' in India. 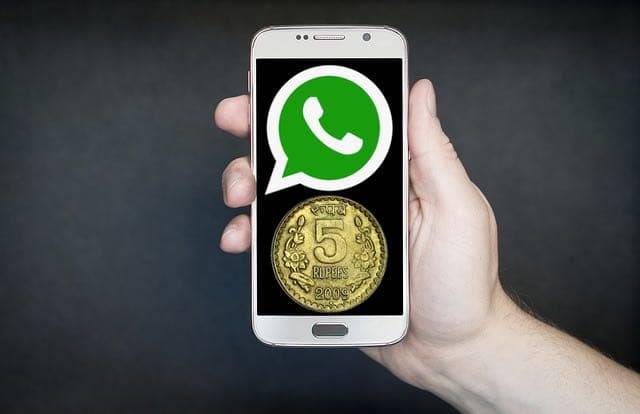 People have already been using WhatsApp for business communication and with a facility to send and receive money integrated in the app, adoption won't be a big challenge. The Indian Government is likely to support this move. Perhaps, this is exactly what Mr. Amitabh Kant, the CEO of Niti Aayog was hinting at when he said mobile wallets and biometric systems will replace debit cards, credit cards and even the ATMs in India. We'd like to know from our fellow engineers whether WhatsApp payments is something they look forward to. Let us know.